Last year I felt like all of my favorite new releases came out in fall. This year, it seems like a lot of the 2012 releases that I'm most excited about have May publication dates. I still hope fall will bring some noteworthy titles, but it seems that this spring is shaping up to be good for reading new releases! 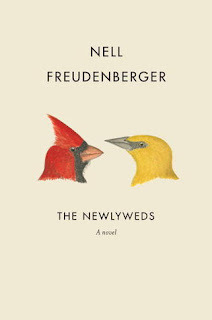 The Newlyweds by Nell Freudenberger (May 1st) A powerful, funny, richly observed tour de force by one of America’s most acclaimed young writers: a story of love and marriage, secrets and betrayals, that takes us from the backyards of America to the back alleys and villages of Bangladesh. In The Newlyweds, we follow the story of Amina Mazid, who at age twenty-four moves from Bangladesh to Rochester, New York, for love. A hundred years ago, Amina would have been called a mail-order bride. But this is an arranged marriage for the twenty-first century: Amina is wooed by—and woos—George Stillman online. For Amina, George offers a chance for a new life and a different kind of happiness than she might find back home. For George, Amina is a woman who doesn’t play games. But each of them is hiding something: someone from the past they thought they could leave behind. It is only when they put an ocean between them—and Amina returns to Bangladesh—that she and George find out if their secrets will tear them apart, or if they can build a future together. Are You My Mother? 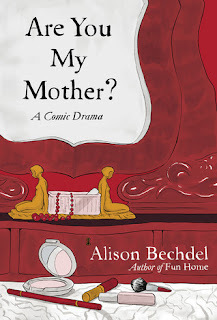 : A Comic Drama by Alison Bechdel (May 1st) Alison Bechdel's "Fun Home" was a pop culture and literary phenomenon. Now, a second thrilling tale of filial sleuthery, this time about her mother: voracious reader, music lover, passionate amateur actor. Also a woman, unhappily married to a closeted gay man, whose artistic aspirations simmered under the surface of Bechdel's childhood ... and who stopped touching or kissing her daughter goodnight, forever, when she was seven. 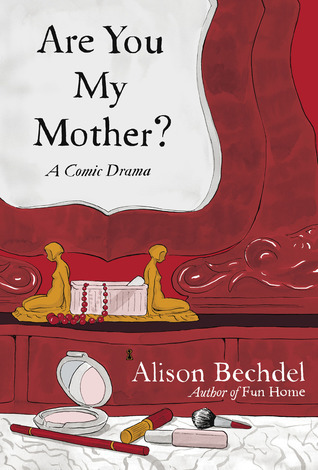 Poignantly, hilariously, Bechdel embarks on a quest for answers concerning the mother-daughter gulf. It's a richly layered search that leads readers from the fascinating life and work of iconic twentieth-century psychoanalyst Donald Winnicott, to one explosively illuminating Dr. Seuss illustration, to Bechdel's own (serially monogamous) adult love life. And, finally, back to Mother--to a truce, fragile and real-time, that will move and astonish all adult children of gifted mothers. I'll be looking to get my hands on the Irving and Bechdel. Thanks for the heads up! Sure thing! I'm glad you're excited about them too. Irving and Freudenberg = YES! Fall is shaping up great, too - new Tropper, Zadie Smith, Tom Wolfe, and Michael Chabon! Wow that does sound promising! Me too. Me too. Me too. I actually have the first two and need to make time to read them! I'm in the middle of one of Irving's old ones right now. I'm interested in Bechdel's new one too. Fun Home made me so curious about her mom. I think I am going to do a reread of Fun Home in the next week or two. I haven't read it in I think 5 years. I'm very much looking forward to The Newlyweds. Sounds like a great story, and I'm in love with the cover. Ridiculously excited for the Irving book. I just got a proof of Mark Haddon's new one (hoping it's better than his last), which I'm hoping turns out to be a good summer read. I have Fun Home on my shelves- I guess I need to get on that. I am super excited about The Newlyweds. I have had it on pre-order for a while and I don't think I knew it was coming out so soon. Woo hoo! I'm also excited for a new Zadie Smith novel this year, which has been a long time coming, but that one is for Fall. These all sounds excellent, especially the Bechdel one. Can't wait to see your thoughts on all of these! Really looking forward to the Bechdel. I had heard she had one coming out but wasn't sure what it was. I really like the sound of The Newlyweds. I've never read any Irving before, but In One Person does appeal to me. The first two I am kinda interested in -- I've read one of Freudenberger's stories, a single Irving novel some twenty years ago, but this one appeals -- but the Bechdel really interests me. Regardless, I'll look forward to your thoughts on all three: it's always great to have new books to tease yourself with, hmmm? I'm excited about these as well! I don't know if any of them are making my MUST READ NOW list, but they are certainly being added to my TBR. Such lovely covers all, too. All of these look great to me as well. 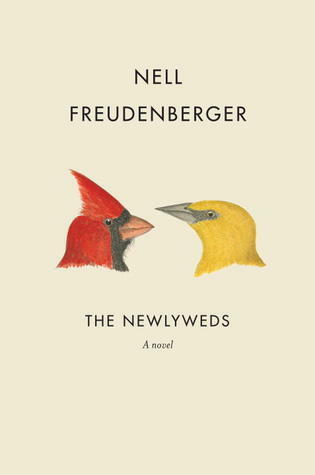 especially looking forward to The Newlyweds (NYTimes Book review today).